With 100% Organic Essential Oils and proven efficacy the must have new Chemical Free Insect Repellent products this summer. There are three products to this range, a Insect Repellent spray, a body stick repellent that fits neatly in your handbag and a repellent candle that will burn for up to 30 hours. 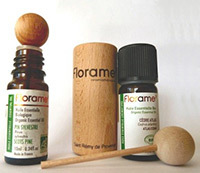 Please use the Contact form on the right for Organic Essential Oils Mosquito and Fly repellent information and ordering. 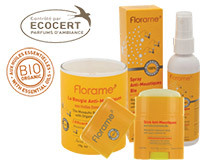 Your message will be sent to Florame Australia and New Zealand only. Privacy & Anti Spam protected.